Millimeter-wave Wi-Fi technology, better known as 802.11ad, is a powerful new wireless standard, for which products are just beginning to hit the market – a router from TP-Link and a laptop from Acer are the only ones so far. 802.11ad is based on very high-frequency radio waves – where today’s 802.11n and 802.11ac standards use 5GHz frequencies, ad uses 60GHz. That means that it’s both capable of handling a lot more data than earlier standards, and a lot more short-ranged, since higher frequency signals dissipate much faster. What this means is that 802.11ad offers the possibility of extremely fast wireless speeds over short distances – but experts differ sharply on its eventual role in the enterprise. The differences center on whether 802.11ad will be used in the same way as previous Wi-Fi standards. Those standards are primarily edge-to-endpoint technology, and while 802.11ad can potentially be used like this, Forrester Research analyst Andre Kindness suggests that this won’t be its primary role. According to Kindness, it’ll be more of a wireless backbone technology, replacing cabled connections in various parts of the network thanks to its very high potential throughput. “[It will be used] as a main connection to allow things to happen much more quickly, when you have things for which you can’t roll out cable and you need something slick like that,” he told Network World. Different wireless technologies have different strengths, Kindness points out, and highlights that many businesses are already using several at a time for very different purposes. 802.11ad is part of Wi-Fi’s expansion, as it adds another use case to its portfolio. That dovetails with other new wireless technologies springing up under the aegis of the 802.11 working group, including 802.11ah, also known as HaLow – a lower-frequency, wide-area standard designed to act as a mesh network for the internet of things. But not everyone agrees – Qualcomm, which is set to be one of the major silicon vendors behind 802.11ad hardware, argued that the 60GHz standard could see considerably more mainstream deployment than analysts like Kindness suggest. According to Mark Grodzinsky, senior director of product management at Qualcomm’s connectivity group, 802.11ad will begin to supplement current Wi-Fi technology sometime next year, and it’ll be used in much the same way. “I think by next year, every major PC manufacturer will have 11ad notebook SKUs available,” he said. It’s a matter of performance as much as anything, Grodzinsky asserted. Bandwidth demands are still large enough to challenge even 802.11ac wave 2 technology, so there are still endpoint applications of 802.11ad that make sense. That’s a point underlined by HPE/Aruba’s vice president of wireless strategy and standards, Chuck Lukaszewski, who said that the demand for capacity remains high. Next-generation technology like 802.11ad could provide a “third layer” of spectrum for particularly demanding environments. However, Lukaszewski also noted that barriers to widespread use of 802.11ad as traditional Wi-Fi remain, and that it remains to be seen at what point the technology will ever take off in that sense. 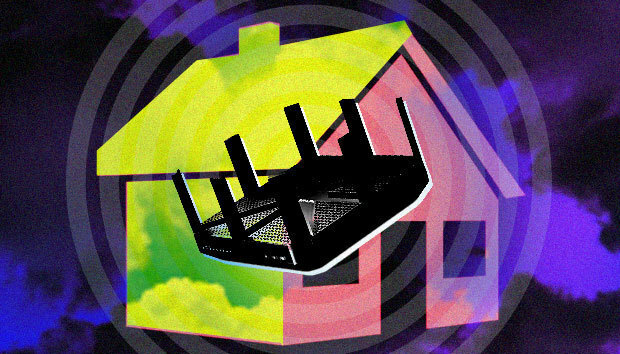 Simply put, the hardware currently on the market that uses 802.11ad technology doesn’t use it in “infrastructure mode,” or the endpoint-router model common to most present-day Wi-Fi. “To date, the Wi-Gig products that are shipping in the market have been largely confined to peer-to-peer applications. Once infrastructure mode is widely available on Wi-Gig capable clients, enterprise radio vendors will rapidly follow,” he said. And while Qualcomm’s Grodzinsky hinted at major product releases coming within the next couple of weeks, nobody is particularly clear on the timeframe for widespread 802.11ad adoption, whether as a traditional Wi-Fi technology or, as Forrester’s Kindness suggests, as a wireless backhaul carrier. For the enterprise IT department, Kindness argues, it’ll be three years before decision-makers really need to get their arms around 802.11ad. “It takes about a year to two years to become mainstream, because it doesn’t have product support, you have to understand where you’re going to use it,” he said. 802.11ad routers will be a growing market presence, but Kindness said that their appeal will be limited by a relatively small number of compatible endpoints – if your laptop can’t benefit from multi-gigabit speeds, what use is a 60GHz access point?